 All text, images and design © Copyright 2014 Strawberry Hill Residents’ Association, except where noted. a. To communicate with and involve local residents in helping to look after, and where possible enhance, the amenities of the Strawberry Hill area. b. To keep watch on plans for local development and, in connection with such plans, to take such action as is possible or necessary to protect the amenities of the area and interests of the residents. c. To associate with other Societies as necessary to further objects a. and b. 3. Membership of the Association shall consist of residents living within the boundaries of Strawberry Hill as defined by the Association. 4. The Association will not discriminate on the grounds of gender, race, colour, ethnic or national origin, sexuality, disability, religious or political belief, marital status or age. 5. The Association shall be managed by a Committee consisting of Chairman, Vice-Chairman, Treasurer, Secretary (Officers) and up to seven other members. The Committee shall appoint the Officers from amongst their number, and be responsible for the funds of the Association which shall be applied for the objects of Section 2. 6. The Committee shall be drawn from Members of the Association and shall be elected at the Annual General Meeting and serve until the following AGM. They shall be eligible for re-election. 7. The Committee shall have powers to fill vacancies occurring between AGMs. 8. The Committee shall have powers to form sub-committees and to co-opt additional members and experts as shall be necessary to fulfil its needs. Co-opted members shall not have a vote. 9. The Financial Year shall run from January 1st to December 31st and externally verified accounts shall be presented at the following AGM. 10. The AGM shall be held as soon as convenient following the end of the Financial Year. 21 days' notice shall be given to members who may submit nominations for the Committee and items for discussion by notification to the Secretary not less than 7 days before the date of the meeting. 11. A Special General Meeting may be called when necessary by the Committee or on the written application of 15 members. Normally 21 days' notice shall be given but in cases of special urgency less notice may be given at the discretion of the Committee. 12. Notice in the SHRA Bulletin or on the Association’s notice board in Wellesley Parade shall be sufficient for the purposes of sections 10 and 11. 13. The annual voluntary subscription shall be determined by the Committee and shall be subject to change by a motion of members at the AGM. Subscriptions shall be due by 31st December. 14. Amendments to the Constitution shall require a two thirds majority at the Annual General Meeting or at a Special General Meeting called for the purpose. 15. A proposal to wind up the Association shall require a two thirds majority at an Annual General Meeting or at a Special General Meeting called for the purpose. On winding up, the Committee shall transfer the balance of funds of the Association to a society or societies having similar interests to those defined in the objects in Section 2(a) or 2(b). A printable version of the Constitution is available: Click here.